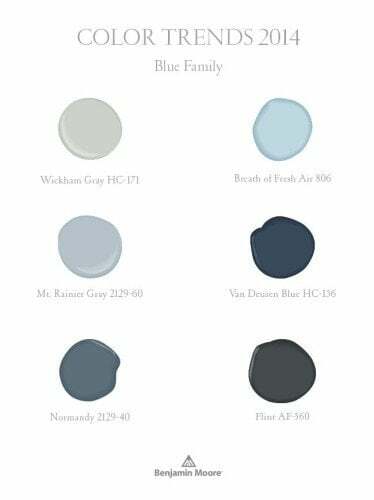 Benjamin Moore paint colors has chosen blue Breath of Fresh Air as Color of the Year 2014 from their color palette. Blue is such a favorite paint color because this light, versatile blue is a fresh color that can go it alone, or blend in with popular paint color schemes of gray paint colors and white monochromatic walls. 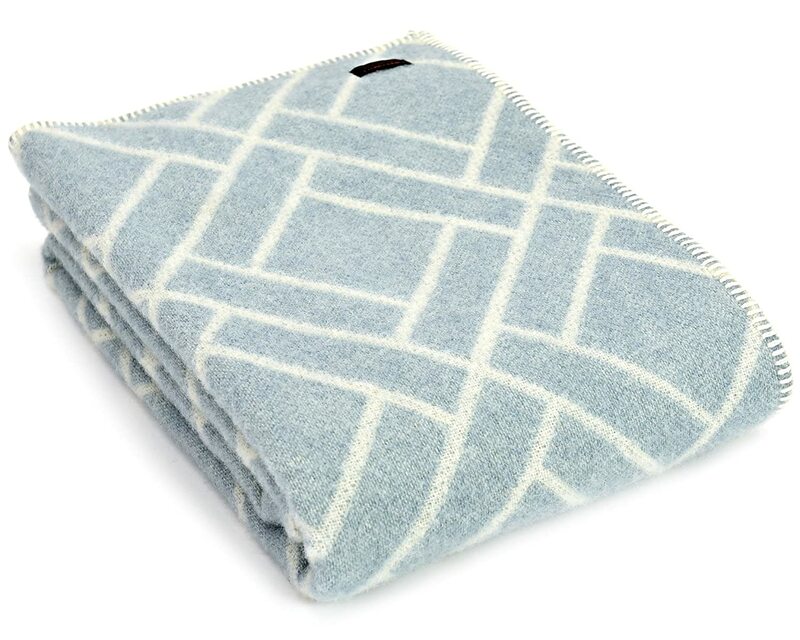 Use sky blue accent soft furnishings like this soft 100% made in the US cotton knit jacquard, to introduce blue into your color scheme. Try cushions, breakfast trays, and lamp shades to get the ball rolling. 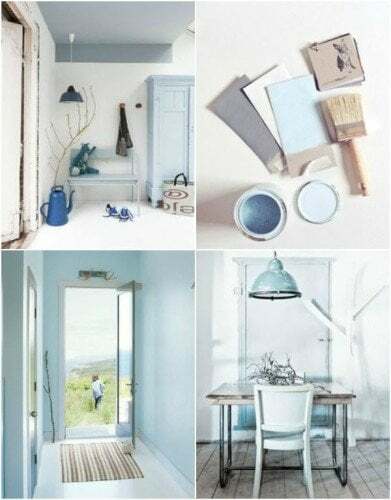 While I have not used Benjamin Moore paints, or paid to write about them, I love the 2014 selection of blue paint colors and hope you get some value at how to use this fresh, sky blue. Blue can be a difficult color because there are so many great blue shades; each with a striking personality that can change the mood of your room instantly. Your choice will depend on your blue paint color undertone; is it cooler or warmer? This can help you decide which one is right for you. Read more about color under tones here. If your blue paint color seems too bright, tone it down using wall accessories, drapes or curtains, rugs and wall art. Try adding more white or beige to soften the color to your liking. Always wait until the paint has completely dried and all accessories and furniture are in place. You may not need to repaint, but tweak or balance what is already there. This pale blue even works with purple paint colors such as Radiant Orchid (Pantone Color of the Year 2014), lilacs and lavenders. Radiant Orchid is Pantone Color of the Year in 2014. 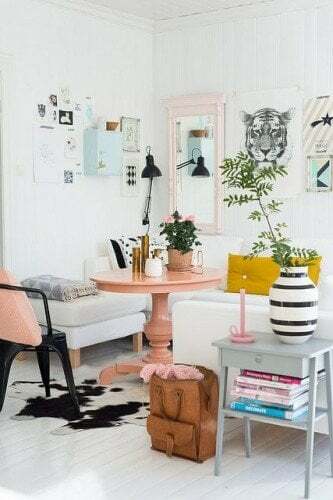 It's a strong, active color that most people find difficult to blend in with their existing decor in large amounts, since its such a radical departure from all the more muted soft whites or grays of late. 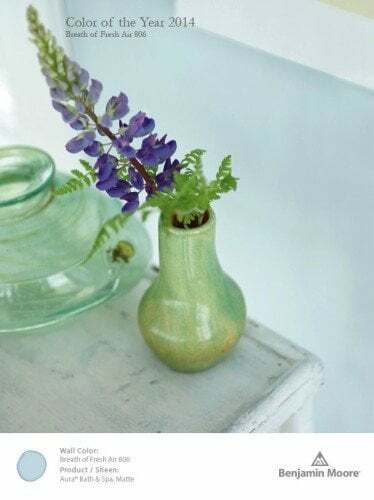 On the other hand, Benjamin Moore paint color choice, Breathe of Fresh Air, is a simpler color choice to introduce without changing your entire color scheme. 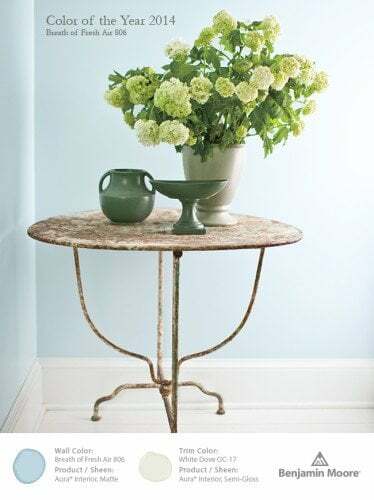 This uplifting sky blue is calming and peaceful, perfect paint colors for living rooms, relaxing kitchens and bedrooms for a good night's sleep where many struggle with paint colors for bedrooms. There are many different shades of pale blue paint. 'Breath of Fresh Air' is only one. Blue gray colors can look sad over time. But this a refreshing choice to add to your bathroom, kitchen, living room color schemes or bedroom decorating ideas. 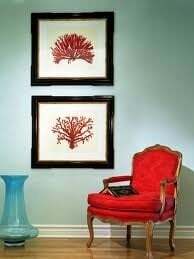 You can use or buy any similar blue shade of paint with similar decorating results. Paint color combinations could include white, red, pink, sea green, gray, sage, yellow, chocolate and taupe. But more on that, with some examples, below. If your current paint colors are monochromatic, using shades of light blue as an accent color will give life to these neutral paint colors. 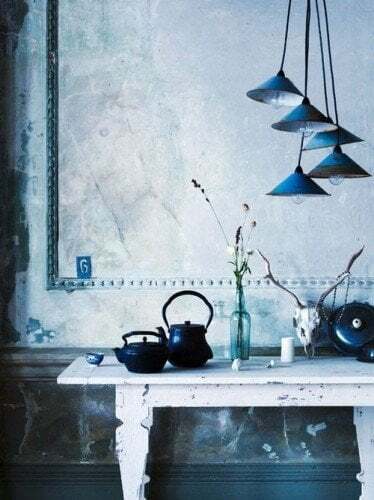 Adding pieces of blue furniture or soft furnishings, trim or a a pop of blue color on the walls or floors, using your favorite blue will introduce it without needing a total color scheme makeover. Most of the time, you can paint one or two rooms in sky blue without disrupting the color flow with your existing paint color combinations. The 2014 blue Breathe of Fresh Air has a touch of red and green undertones, that gives it a lavender cast and a touch of warmth. It works perfectly as a wall paint back drop for larger, grander objects. The darker your furniture, the more contrast the blue will offer against it. Warmer honey wood colors also work well, adding warmth and balance. Blue paint color that is more neutral, than primary, will give you greater decorating scope. 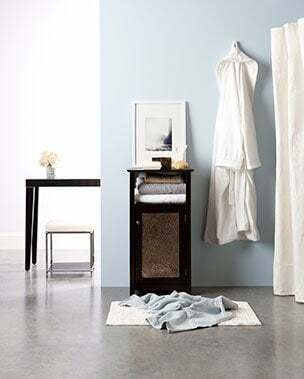 Blues with undertones of gray or beige, remain relaxed and comfortable, allowing them to live happily together. Consider this if you when you next buy your paints. Are these Blue Paint Color Ideas Right for You? To test your paint color ideas, paint large boards from sample pots and move the board from room to room to see what they look like at night as well as during the day. Paint colors always look different at different times. This will help you decide whether you want a lot or a little blue color of the year for 2014 and worth the trouble since you will live with it for quite a while. 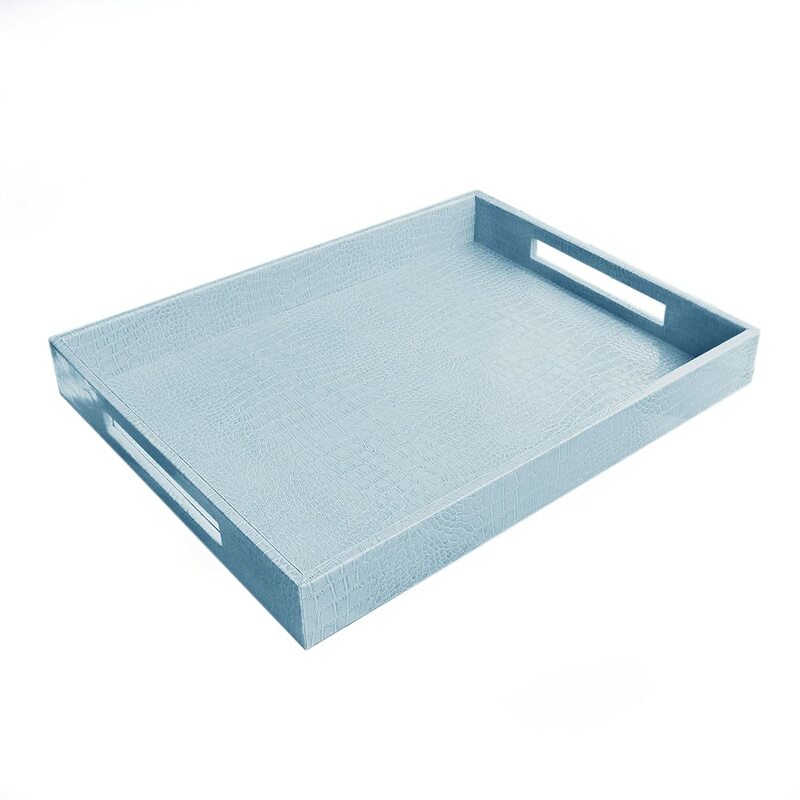 Light blue is an easy addition if you have a gray and white color scheme to begin with. This color combination creates a balanced color scheme. The pops of blue give a clean, fresh look. Using these two shades of blue paints will create a very relaxed and elegant open sea look. Scattering white, beige or gray through out can blend or create contrast. Strong indigo is used as an accent against pastel paint colors. Warm peach pink and honey accents create a romantic, cheeky look against this mostly white background. Pale blue adds balance and contrast. The addition of more honey colored wood furniture gives warmth to this cooler colored decor. Black trim accents add strong contrast to the softly toned room. 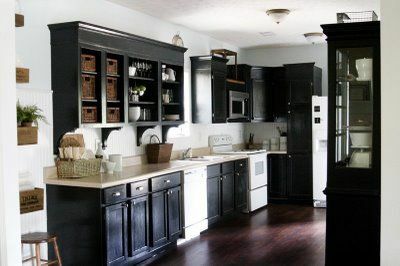 Pale blue walls break up the strong contrast of black kitchen cabinets with white appliances. The addition of lighter wood boxes adds some warmth and breaks up this elegant and timeless look. This is a simple but very striking color combination.The red contrast is vibrant without over powering the room. This color combination is brightened with small amounts of accent yellow. It's contemporary but still classic. 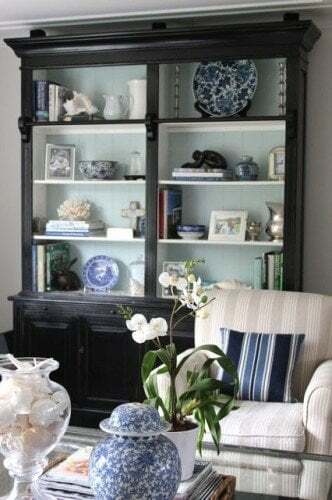 Add throws, cushions or blue and white classic styles or simply paint small amounts of sea green or pale aqua on the back of some shelves or side table. Coordinate accessories such as blue glass canisters with touches of pink or orange, colorful rugs or wall decor like the 36 inch rustic, hand painted clock above for a larger accessory. 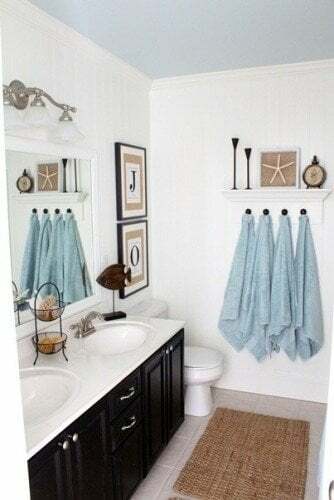 Light sky blue is a clean bathroom paint color, easily used with white accents. Never ignore the effect of warm wood against white and pale blues. 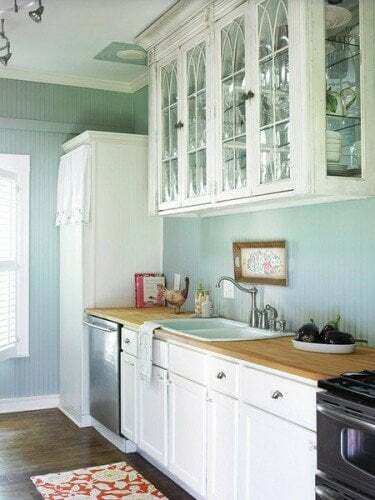 Pale blue kitchen paint colors are very popular. Blue is a perfect backdrop to white kitchen cabinets and gray appliances. It helps keep your natural light levels in tact and offers a cooling and relaxing space to an often hot workplace. More forgiving than plain white, its bright tone is perfect for working areas. 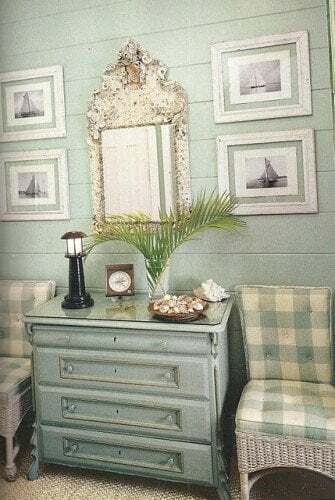 While this article has mostly been talking about plain colors, using patterns of different size and scale helps different colors and shades live side by side harmoniously like pale blue and sage. Blue paint is easy to buy, the quality and cost is entirely up to you and your budget. I have not been paid to write about Benjamin Moore paints, but I do love their soft blue color selection this year and hope you do too. I love alk the Blue colors. I also like how you show how to match different blues and other colors to make rooms look Amazing! Love your advice. Im going to copy your beautiful designs. So pleased you like the article.. have you joined the email list? There are lots of other home decorating ideas you might like.! Thanks again for visiting. hi! Love the designs and color palette suggestions. Do you happen to know where the couches in the first picture are from? Thanks! sorry, can't help you on the couches... wish I could.